Is Casual Dating for You? My line of work involves advocating the merits of all kinds of dating. There are varying levels of relating to women that all have virtues and drawbacks depending on what type of person you are and what you want from life. If you don’t want to deal with the emotional investment and energy it takes to make a serious relationship work – and it is a lot – you might be more interested in casual dating. 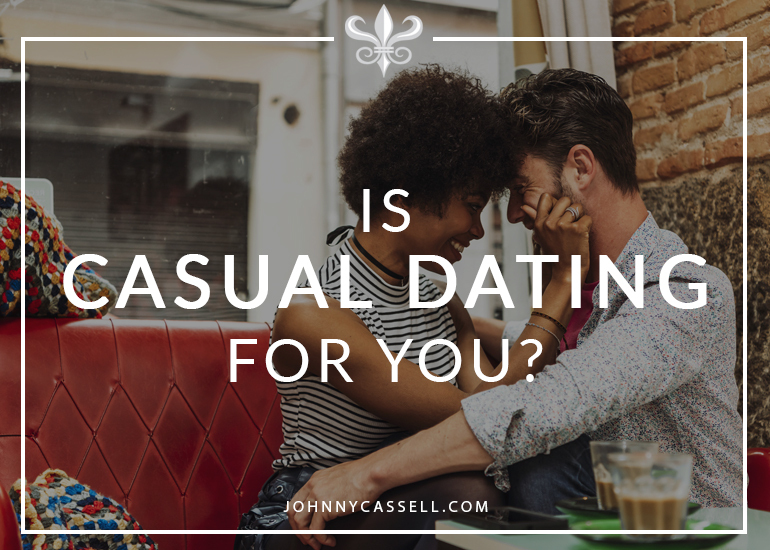 What is casual dating? Casual dates are those where the boundaries are laid down from the outset. You’re not looking for anything serious or long-term, and you’re both on the same wavelength. You may even see other people. With casual dating, no commitment is required. Casual dating can be a lot of fun, and often you’ll have to go through quite a few casual relationships before you get to a connection at which you want to work. However, spend too long casual dating, and you could end up deprived of the richer rewards of being in love. Casual dating vs. serious dating is a face-off for the ages. Here’s some handy casual dating advice. You have an extremely full and busy life. You’ve just come out of a long, serious relationship. What are your responsibilities like? You’re sexually inexperienced or a virgin. You’re looking to grow in confidence. You’re scouting for the one. Let’s look at a few situations that could suit an incursion into the world of casual dating, no commitment required. However, so many people have to manage their personal brands 24/7 and a fast-paced lifestyle without room to settle down. Perhaps you travel a lot or work ridiculous hours. You could be ultra-social, and love partying with loads of different girls, which doesn’t leave a lot of nourishment for a deep, long-lasting relationship. Either way, a serious relationship is either going to be short or miserable if you can’t put aside the time for it. And that’s fine – you simply have other priorities right now. 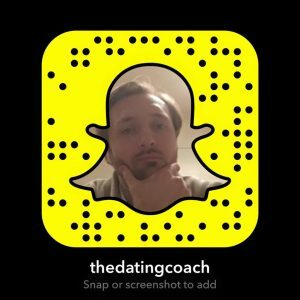 Is casual dating a good idea for you? You don’t have to deprive yourself of fun and impactful connections just because they may not lead to anything serious. Get involved and meet new people. You might find the girl that convinces you to slow down. Not that you’re likely going to want to, but there are some who, for comfort, jump straight into another long-term relationship after a break-up. It’s never a good idea. A good, solid bout of casual dating could be just the blueprint on which to rebuild your confidence. You’ll get a taste of the wealth of amazing women out there, and you’ll be able to gather strong reference points for future dates. You don’t have to rebound all over the place. But don’t give yourself to someone just after you got your independence back. Restore your energy and assess your mistakes. And, more importantly, have fun. People who look after sick/elderly relatives or single parents with kids can often have a hard time balancing the people who need them with new connections. Time is limited, and profound relationships need a lot of it to flourish. There is also the question of the role this new person will play in the life of whoever you’re looking after. Will your kid see a prospective long-term partner as a new mum? What effect would a break-up have on them? Casual dating keeps the partners that may have an impact on whoever you’re caring for at arm’s length, and can be a fun escape. The casual dating lifestyle can, however, be hard to maintain if you’ve got a plethora of responsibilities. Make sure your responsibilities don’t suffer as a result of your relationships with others. Maybe you simply aren’t very good at dating. You could be looking for something deeper, but remain hopeless at maintaining conversations and sparking attraction. Instead of facing their fears, some men shy away from this or try to settle. But you need to do some casual dating. My clients often come to me because they feel awkward in dating scenarios, and I often prescribe some casual dating as a cure. Meet different types of women. Take three things away from each date to work on, and take it into the next one. Rinse and repeat. You’ll be improving, and you’ll soon be able to act more selectively when thinking about a serious connection. If you haven’t slept with a woman before, you probably shouldn’t be committing yourself to someone for a long time. If you’ve been a bit slower maturing sexually, you shouldn’t commit yourself to anything long-term until you’ve explored that side of romance. Learn how to get to that sexual encounter and grow in confidence. Don’t give all of yourself to one person until you know you can give that special woman the sexual experience she expects. It also means that you won’t get overexcited and fumble it when a potential long-term partner arrives on the scene. There’s no shame in it. People mature at different rates and come from different environments. You can work at it, and that’s through casual dating. If you need help, use an online dating service or dating app to maximise your chances. You can always get in touch at the bottom of this page if you need more in-depth tuition. Flirting without consequences does wonders for the confidence if you’re in short supply. Speed dating events could efficiently get you used to that mentality, and you can then move into dates. Some even see it as nurturing their business networking techniques and carry the skills across. Either way, you may not be looking for anything from dating beyond a boost to body language and core confidence. It only comes with practice. You’re trying to find the one. It could be that you’re stuck in casual dating, looking for the one. Once-promising casual relationships could fizzle out when you, or stay casual without progressing. In these instances, you may feel like you’re wasting time and treading water, and you may no longer be enjoying the dating process. Maybe you need to reassess your stance and have some fun. You know when you lose something around the house, and the moment you stop looking it turns up? Finding someone special is like that. You only attract the right people by giving off positivity and confidence, and that will only happen if you’re having fun. I can be there to support your journey through whichever type of dating piques your interest. Get in touch here.